“Re-thinking the contemporary city through the prism of a multi-level network”.This what the UNESCO considered as exemplary for the sustainable development of cities in the case of the project Human Cities_Challenging the City Scale. On 18th October 2016, UNESCO officially launched in Quito its “Global Report, Culture: Urban Future“. 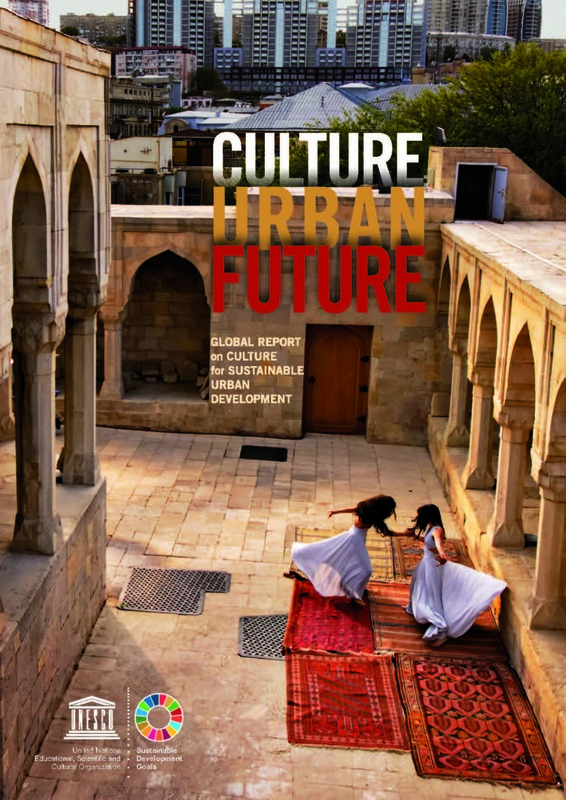 A rich (300 p) document gathering case studies and recommendations to support governments in the implementation of cultural policies for sustainable urban development. It means a great acknowledgement for the Human Cities partners and a great encouragement to continue the dialogue between creators, citizens and insititutions to shape the futures of the cities. Actually, one specificity of our project is that, amongst its 12 partners, 5 of them are from cities members of the UNESCO Creative Cities network : Bilbao, Graz, Helsinki, Ljubljana, and Saint-Etienne. It has been proposed by the leader Cité du design, from Saint-Etienne, when building the project. Involving UNESCO creative cities allows a major international impact of its actions, reaching policy makers and researchers using UN resources. On the other hand, it gives a concrete example of collaboration within this relatively new network of cities established by the UNESCO to to strengthen the development of local cultural industries as a factor of sustainable development. The selection of Human Cities case studies for this Global Report comes just after its presentation in an exhibition and conference in Ostersund, Sweden, during the General Assembly of UNESCO Creative Network in September 2016. The Cité du design Saint-Etienne proposed the project as a part of a Good Practice exhibition. Josyane Franc, its coordinator, which is also the coordinator for Saint-Etienne UNESCO Creative City of Design presented it on 15th September 2016 to an impressive and multicultural assembly of at least 500 people coming from 116 cities from 54 countries.